Coaching Experience - Freya began coaching 15 years ago whilst attending University in Staffordshire, England. Whilst studying for a Masters degree in Sport Science, Freya worked for Port Vale FC, a professional football club, to help them create and build a girls program. Freya then moved on to coach for Oxford United and began working for The English Football Association (The FA) as a football development officer in Oxfordshire. Her main role was to work with clubs and coaches to raise the standards in grassroots organizations. Freya worked for The FA for 4 years before taking a job at Buckinghamshire New University as a Senior Lecturer in Sport Science, specializing in coaching, psychology and strength & conditioning. Alongside this role, Freya continued to coach, this time for Reading FC Girls’ Centre of Excellence and Women’s program. Freya worked for Reading FC for 8 years and coached many players that went on to play professionally and internationally. Freya also worked as a Management Consultant for Lane 4, a company that uses lessons learned from elite sport to increase performance in the work place. Having spent many years visiting The US during her time at Buckinghamshire New University, Freya decided to move to the US full time in 2014. 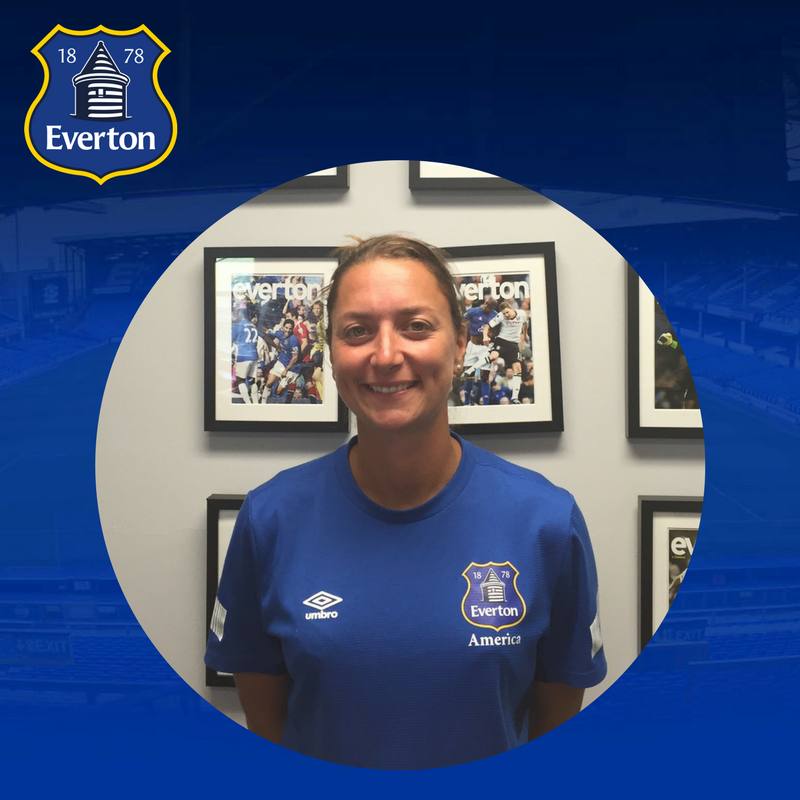 Freya has been at Everton since April 2014 and uses her experiences gained in her previous professions to manage the girls program at the club.